Student showcase is an event held by Pella high school as an opportunity for students to show off their talents and skills. 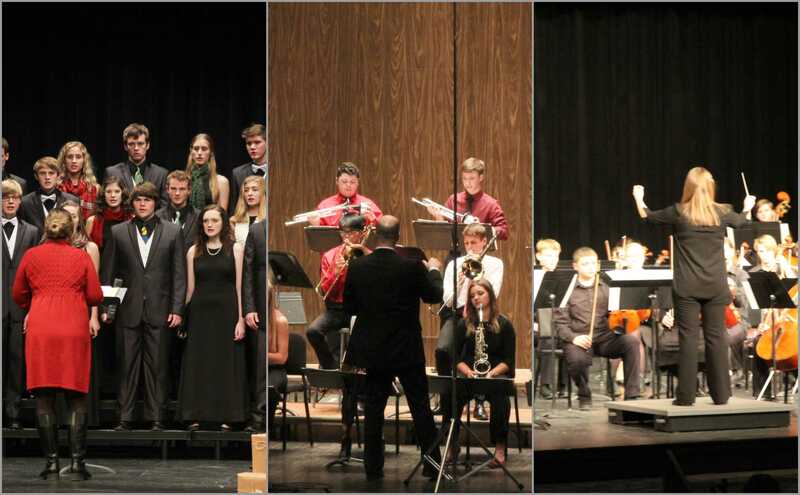 The performances are centered around the band, choir, and orchestra programs. They can either be solos, duets, or small and large group productions. The showcase is set to happen on Friday, April 26 and Saturday, the 27 at 7 p.m. and is held in the school gymnasium. This is only the second official year of student showcase as it used to be split into Cabaret and Carnaby Club. Cabaret was more centered around choir groups, while Carnaby Club was more about band and orchestra. Student showcase is two nights compared to one night for both Cabaret and Carnaby Club. Each night of Student Showcase have different acts. One student that is performing is freshman Luci Laidlaw, and she’s performing in two orchestral duets and a small group. Two larger groups that will be performing are Jazz One and Jazz Two. Both groups will be performing both nights with different sets of music each night. “It’s my last year, and I feel excited. I get to show off my fancy solo,” said senior Spencer Leovan. This event is attended by students, parents, and members of the community.